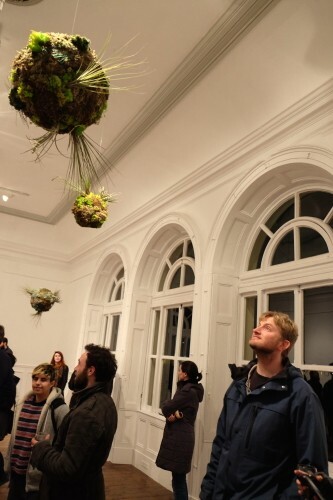 'Biosystem IV', installation by Méadhbh O'Connor. 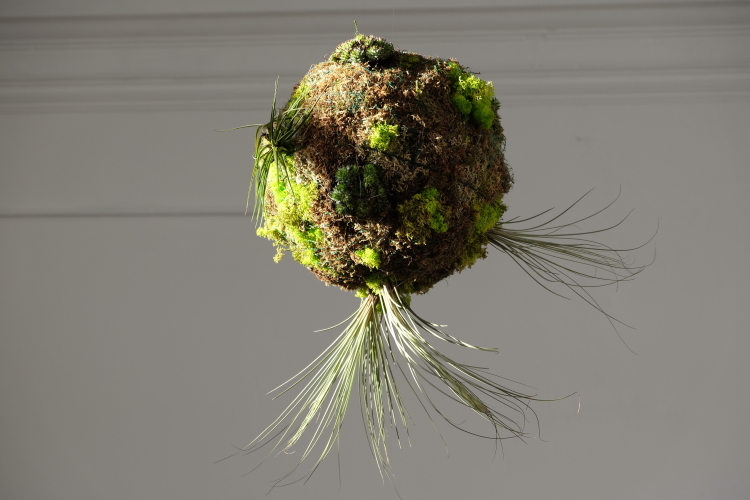 Living orbs made with air plants, live and preserved mosses, wire. Dimensions between 12 and 20 inch diameters. 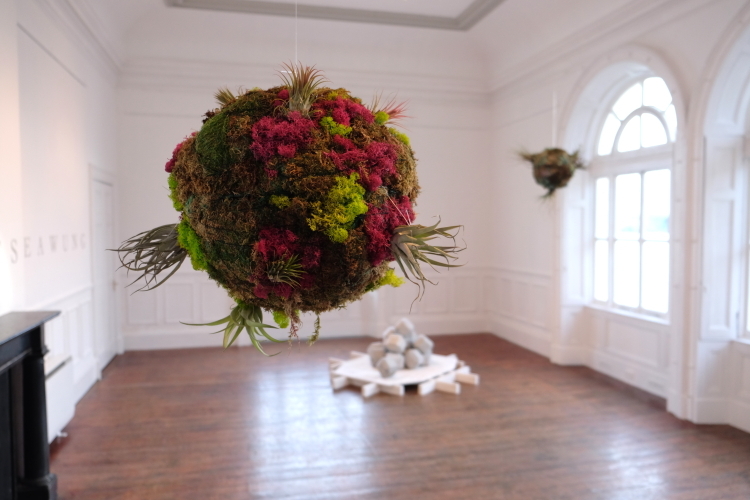 Commissioned for the exhibition Sustainable Futures, Cork 2018. 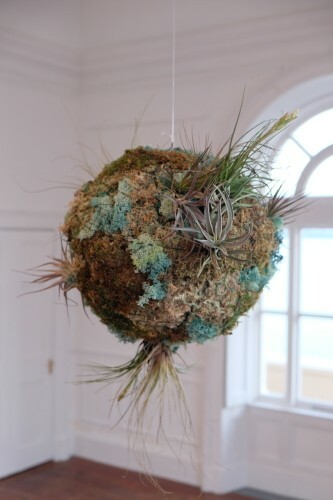 Curated by Claire Ryan. 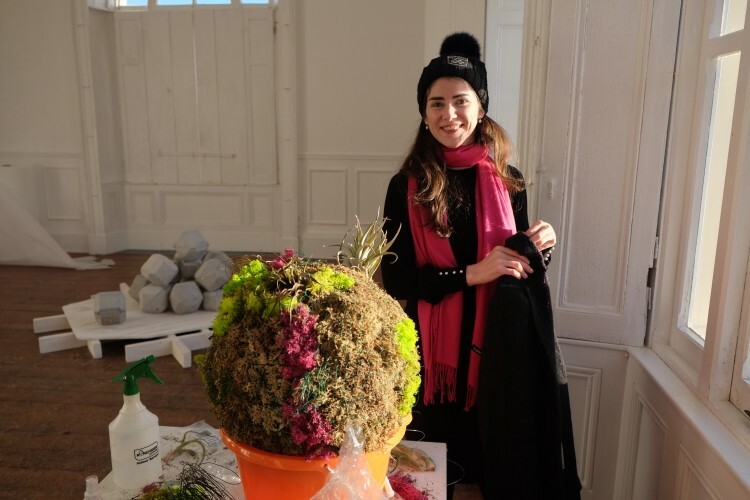 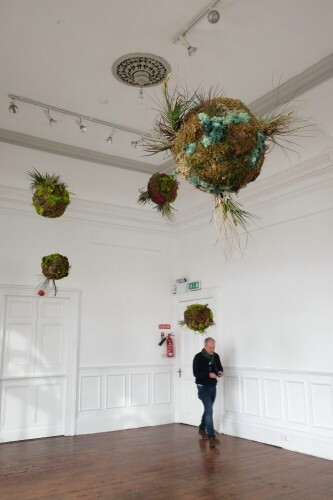 Méadhbh O'Connor installs her biospheres at Sirius Arts Centre. 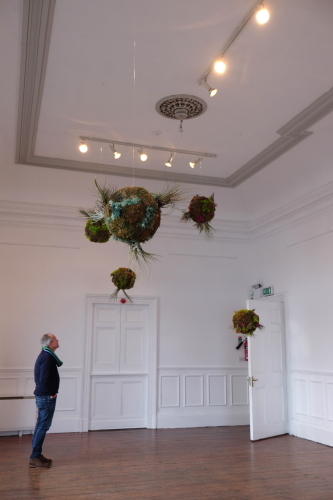 Sirius Arts Centre, Cobh, Co. Cork, Ireland. 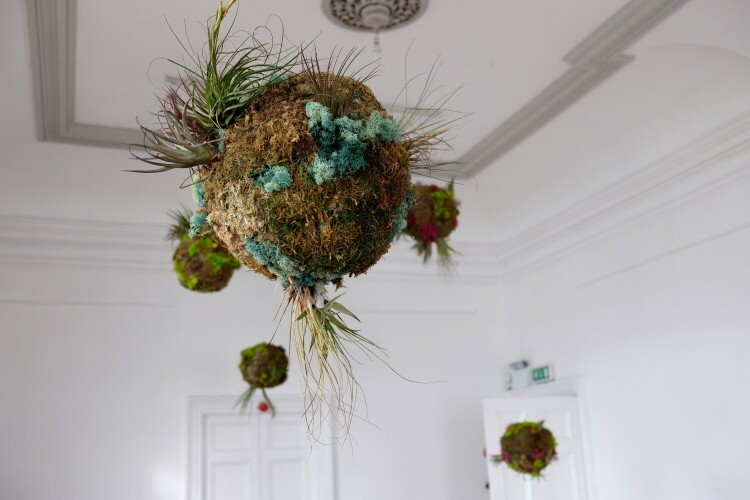 Biosystem IV by Méadhbh O’Connor commissioned for the exhibition Sustainable Futures at Sirius Art Centre, Co. Cork, Ireland. 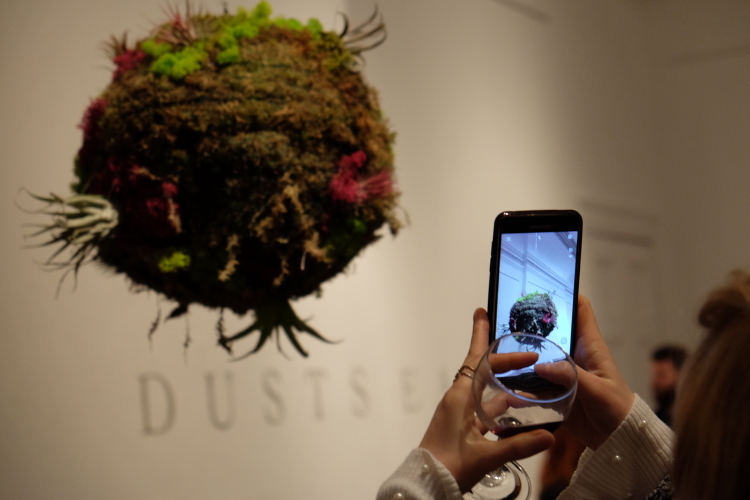 Curated by Claire Ryan. 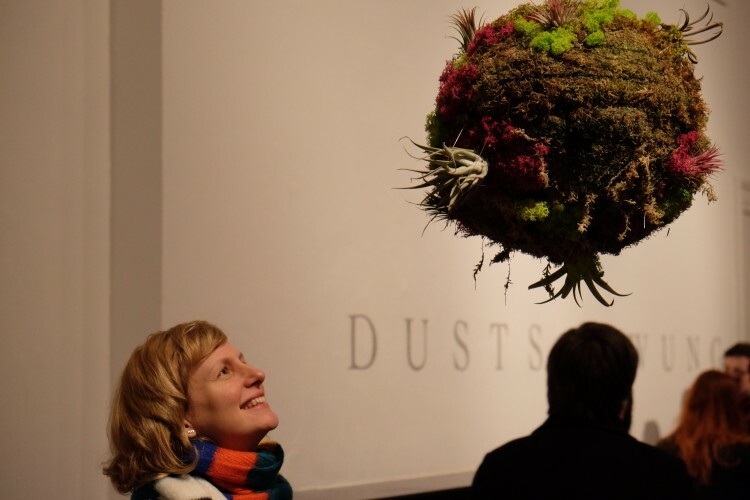 Read the press release for the exhibition at this link. 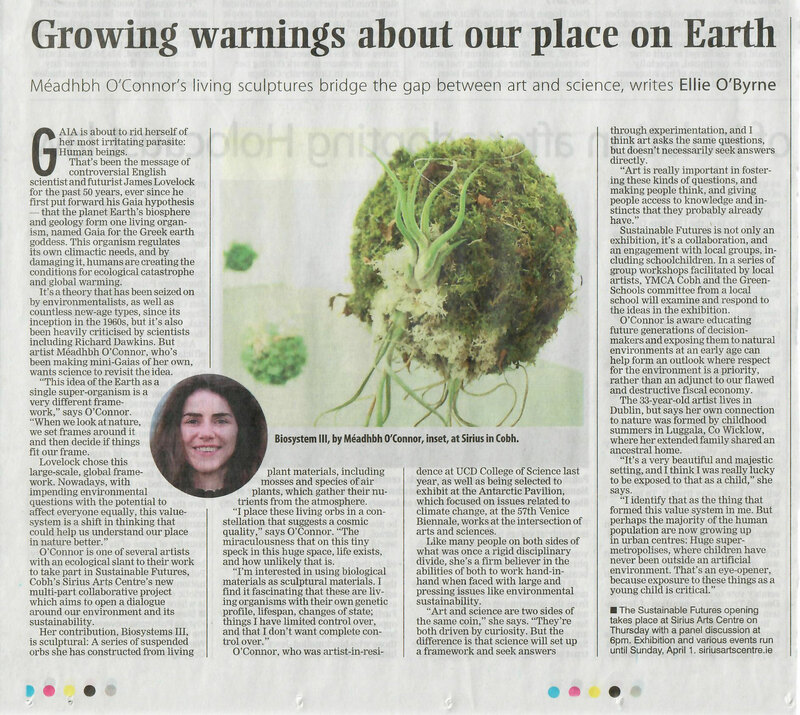 Read a feature on Méadhbh and this project written by Ellie O’Byrne for The Irish Examiner here.